Rachel has had the opportunity to perform around the world in cities such as Tokyo, Hong Kong, Miami, Los Angeles and San Francisco. She is a highly versatile performer who has danced professionally in the styles of jazz, hip-hop, lyrical, musical theater, ballroom and aerialist work. An Oregon native, Rachel grew up training in multiple styles with her studios competitive performance company. She spent the majority of her weekends attending competitions and conventions where she had the opportunity to train under the countries top choreographers. Rachel's senior year of high school, she auditioned and was accepted into an apprentice program with Tremaine Dance Conventions where she traveled nationally to fulfill the role of assistant to the nations top instructors. Rachel began her professional dance career in Los Angeles where she danced in national commercials and TV shows. Her first international contract was in Tokyo, Japan where she performed as an aerialist portraying the Disney princess Ariel, in Under the Sea. She later returned to Tokyo Disney to perform in another feature role as an aerialist in Mystic Rhythms. With a heart's desire to see more of the world, Rachel performed Broadway-style shows with Royal Caribbean Cruise Lines and Princess Cruises. She then went on to perform with an international cast in Hong Kong and Macau at a major casino and resort. Most recently, Rachel had the opportunity to be a part of the NBA Golden State Warriors dance team for their championship season. 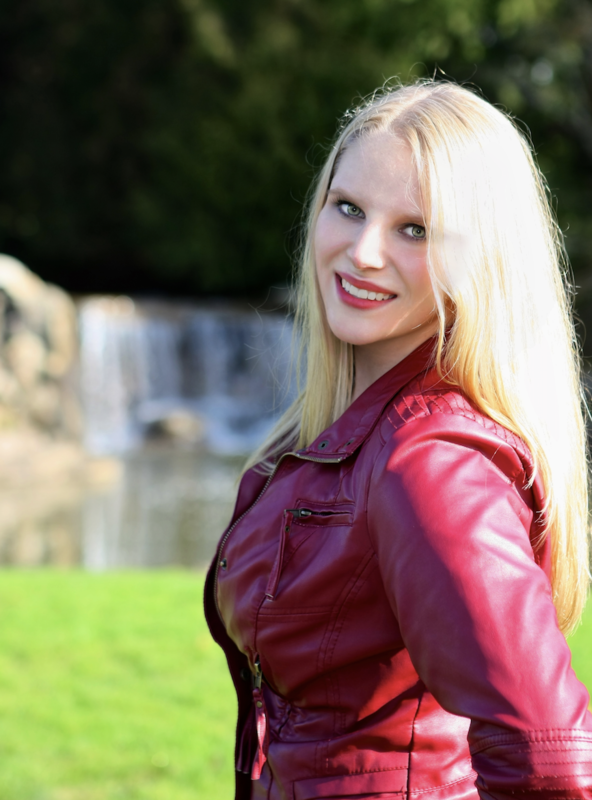 Rachel is an experienced dance instructor who has taught and choreographed at many studios and schools around the Portland Metro and San Francisco Bay Area. She has completed the STOTT Pilates teacher training and is a certified Acrobatic Arts instructor. She is also the current Head Coach for the Sherwood Arrows High School Dance Team. Rachel places a strong emphasis on technique while encouraging showmanship and confidence in her students. “My dream is to create a dance studio that provides individual, high quality, dance instruction to all levels and ages. My goal is to not only train dancers to be expert technicians on the dance floor, but also to encourage them to have the confidence to go on and pursue their dreams-whatever they may be. My life was changed because of dance, the teachers I had made a difference in my life, not just my dance skills. I want to share my skills and help create that same environment in my studio"
Amanda began her teaching career when she was just 16 years old with creative movement and pre-ballet classes at her local studio. She has since gone on to teach and help manage studios in both Southern California and Oregon. Amanda was a member of Lyfe Dance company in Portland, Oregon and is a current member of 11 Dance Co. along with being the assistant coach of the Sherwood Arrows Dance Team. Amanda's dedication, work ethic and love for not only dance but teaching is clear to anyone that knows her and we are so excited to have her join the Doty Performance family! 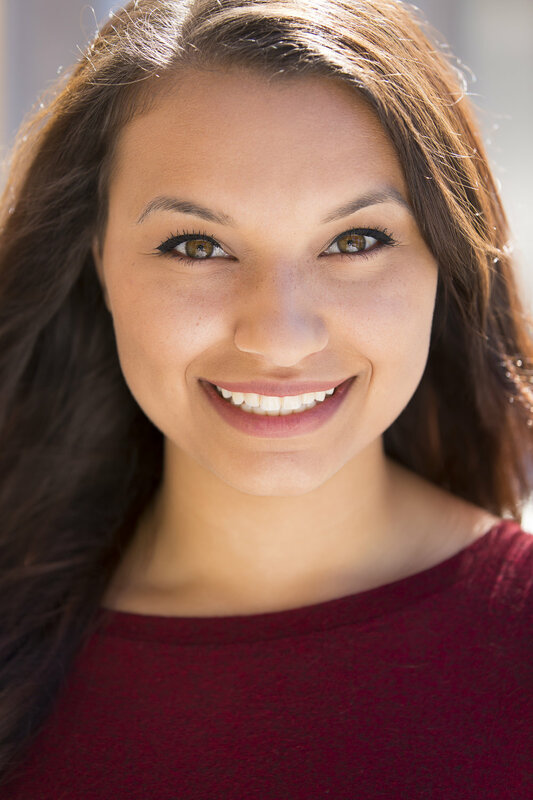 Katelyn is a seasoned performer, with over 10 years of professional credits. She most recently returned to Portland after a contract on the tropical island of Guam as a featured dancer in a magic show. An Ohio native, Katelyn grew up dancing every moment possible, competing with her local studio and performing with many Cleveland professional theaters. She moved to New York City after high school and completed the Musical Theatre program at the American Academy of Dramatic Arts. Shortly after graduation, Katelyn was offered a position in the long running Las Vegas showgirl spectacular Donn Arden’s Jubilee! where her high kicking, glamorous costume wearing dreams came true. She moved on to Los Angeles after a couple years of doing the show, teaching camps and all sorts of gigging. Katelyn has appeared in regional theater productions all over the country. She also performed extensively with a vintage style company, the LA Follies during her years in Los Angeles. She has taught workshops, musical theatre camps and dance classes since assisting at her studio in high school. She has a passion for passing on her knowledge, and loves to watch students grow as performers. Katelyn hopes to inspire the next generation of performers, while continuing to educate about the roots of dance, especially the iconic choreographers who made dance what it is today. Jessica Taylor grew up dancing and graduated from the University of Oregon with a Bachelor of Science in dance. She trained at Maddox Dance Studio in Warrenton, Oregon. In addition to training at the studio, Jessica danced and competed with Seaside High School Dance Team for 3 years. After graduating high school, Jessica decided to pursue her love for dance at the University of Oregon. There, she graduated with a Bachelor of Science in dance in 2017. Since then, Jessica has been teaching dance at several studios around the Portland area. At these studios, Jessica’s classes vary from different styles and ages including Contemporary, Modern, Lyrical, Ballet, Hip Hop and Jazz for ages 2-18. In addition to teaching, Jessica finds many choreographic and performance opportunities around Portland to further her education and experience in dance. Jade is so excited to join the Doty Performance Studio instructors! She is a professional musical theatre actress and has been seen in many educational, community, and professional productions around the Portland area. Jade has been in a total of six plays and seventeen musicals and counting! Some favorite roles include Gingy and the Sugar Plum Fairy in Shrek the Musical, Nina in In the Heights, and Laurey in Oklahoma! Her dance background includes tap, ballet, salsa, hip hop, and musical theatre. She began taking tap classes her junior year of high school when she performed as a Tap Dancing Rat in Shrek the Musical and fell in love with it! She continues to study with a private coach to better her tradel! Jade can't wait to share her love of musical theatre and tap with her students. She has had a blast teaching hip hop to grades 1-teens at Portland Dance Center this summer! She is very passionate about instilling the art, discipline, and joy of dance in children and providing them with tools and experiences they can use throughout life. Dance has been such an incredible way to channel all of her creativity and make connections with other amazing artists! Additionally, she is really looking forward to bringing the skills of acting and singing into the studio. Jade has twelve years of voice training under her belt and experience in acting techniques such as Meisner Technique and The Stanislavsky Method. She has assistant directed a children's musical (Willy Wonka and the Chocolate Factory), choreographed Legally Blonde the Musical in high school, lead high school and elementary school theatre camps, dance captained three shows, and been an audition coach for five years. She was nicknamed "The Dancing Queen" in high school and voted "Most Likely to Appear on Broadway". She was awarded the highest honor of "International Honor Thespian" by the International Thespian Society which equates to 1,800+ hours of work and service in the theatre community. She's excited to incorporate all styles of dance into her Broadway Bound class, as well as looking at multiple different musical styles! Students taking her Broadway Bound class can expect to gain confidence, know exactly what to expect in a professional musical theatre audition, and leave class calling themselves a "Triple Threat"! She is so very thankful for the opportunity to teach at Doty Performance Studio! Raena is an experienced hip-hop dancer that is excited to begin teaching at Doty Performance! Raena danced on her high school dance team and was named captain her senior year while assisting with the schools “Crew Team”. She was named a member of the “All Star Dance Team” at Thunderbird Dance Camp where she later returned as an intern (teacher assistant) and coach. She has performed in industry showcases in Portland and at Linfield College with well known choreographers such as Durante Lambert and continues to train with Rogue Society Director Timmy Marl. Raena is so excited to meet her future students and to help young dancers grow while doing what they love! “Seeing my students progress and become strong from all of their hard work is a wonderful feeling for an instructor". Raena’s choreography can be described as fresh and energetic and is sure to encourage strength, power and style in our dancers. We are so excited to have her join our team! Megan has been dedicated to her love of performing, creating, and learning since the age of 5. Since then, her love of dance has continued to grow. Megan was a part of the Sherwood Arrows competitive dance team all 4 years of high school and went on to dance in college where she co-led a hip-hop club and was a part of the Portland Dance Company. Megan began teaching at the young age of 16, with contemporary, jazz and hip hop and never looked back. Megan continues her dance training by taking classes around Portland and most recently attained her Acrobatic Arts certification so that she can help our acro dancers train safely and become proficient in the art form. Megan’s favorite thing about teaching is witnessing the moment students find their own love of dance as she passes along the knowledge she has learned herself, she is so excited to join the Doty dance community!